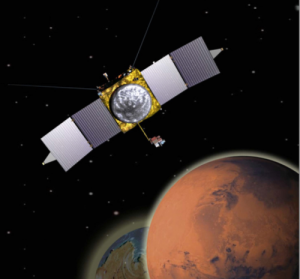 TenCate Advanced Composites supplied materials for NASA’s Mars Atmosphere and Volatile Evolution (MAVEN) orbiter, which is currently on its way to Mars. The solar-powered MAVEN spacecraft was built by Lockheed Martin in Littleton, Colorado, USA.As a key supplier of advanced composite materials to Lockheed Martin, TenCate Advanced Composites provided a highly stable, engineered carbon fibre-reinforced composite that was used to fabricate the primary bus structure of the MAVEN orbiter. This primary structure is cube shaped and was built by Lockheed Martin in Denver, with high modulus composite face sheets sandwiched between aluminium honeycomb sheets. The entire primary structure is only 275 lbs, yet can it withstand the launch forces of 6g, which imparts loads of up to 61,000 lbs on the launch vehicle’s interface. TenCate has supported NASA and Lockheed Martin on prior Mars missions, including the Rover and Curiosity exploration vehicles.